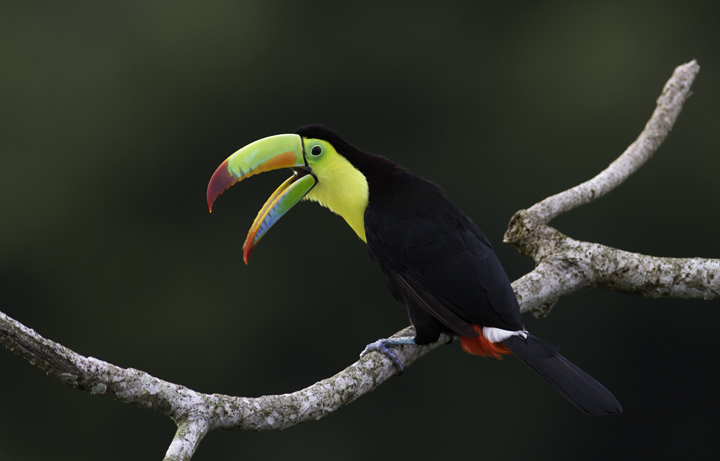 Page 8 of Panama Photos. 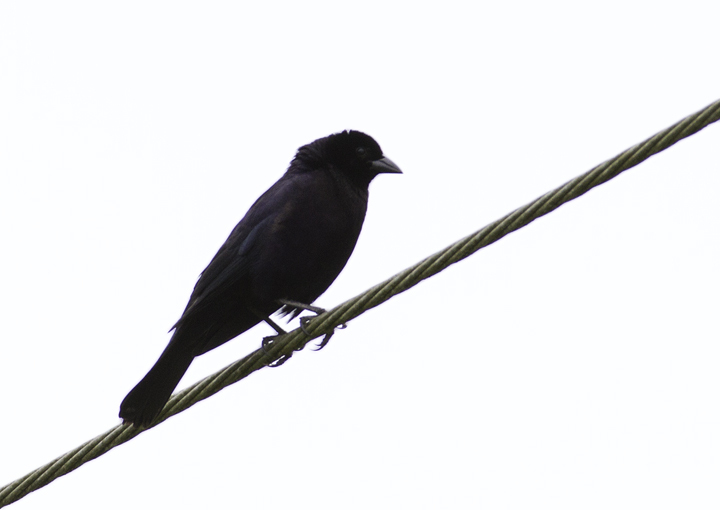 Last updated: 3/24/2011. 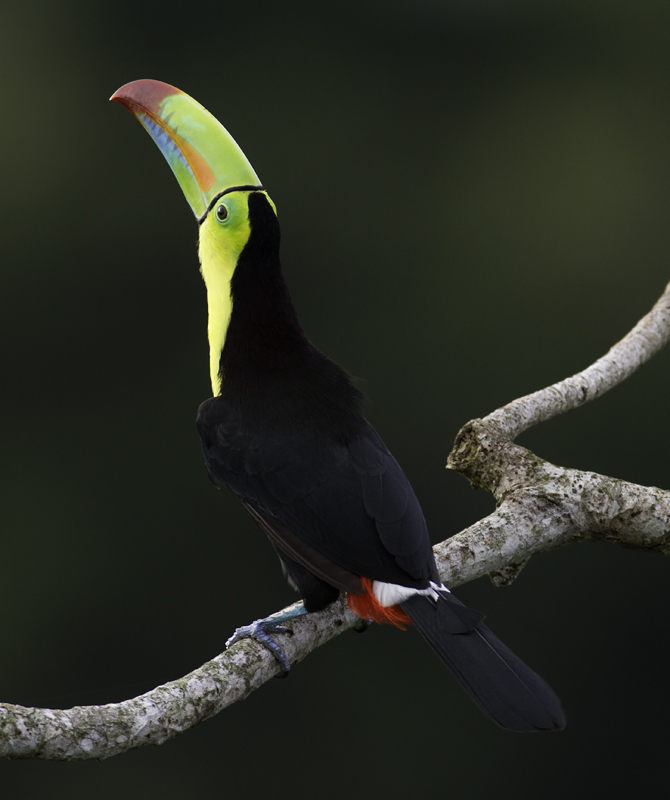 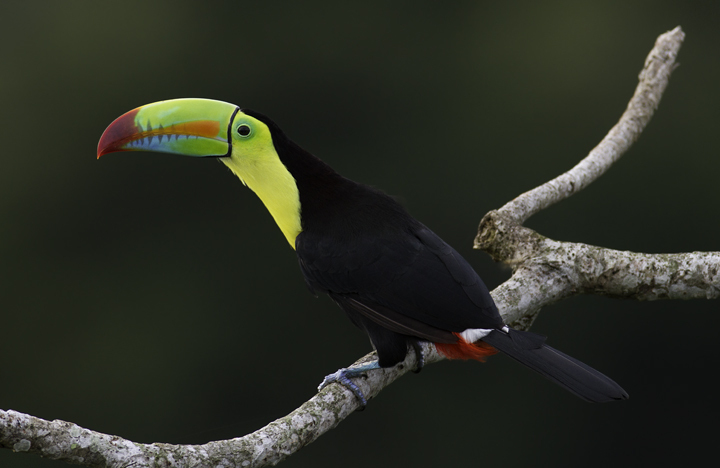 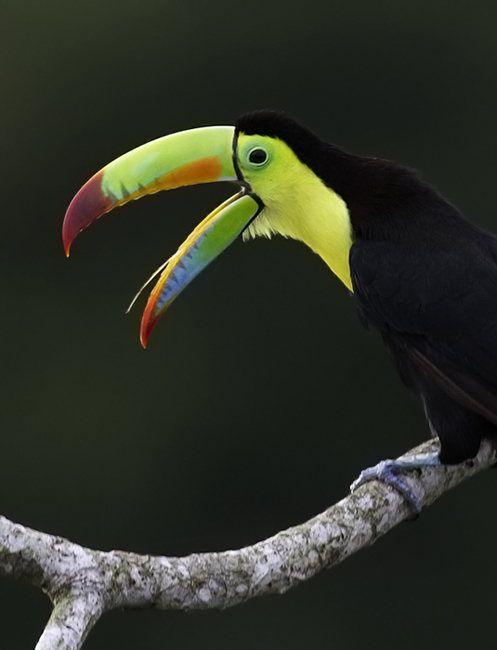 Above and below: Mind-blowing views of a Keel-billed Toucan near Gamboa, Panama (7/17/2010). 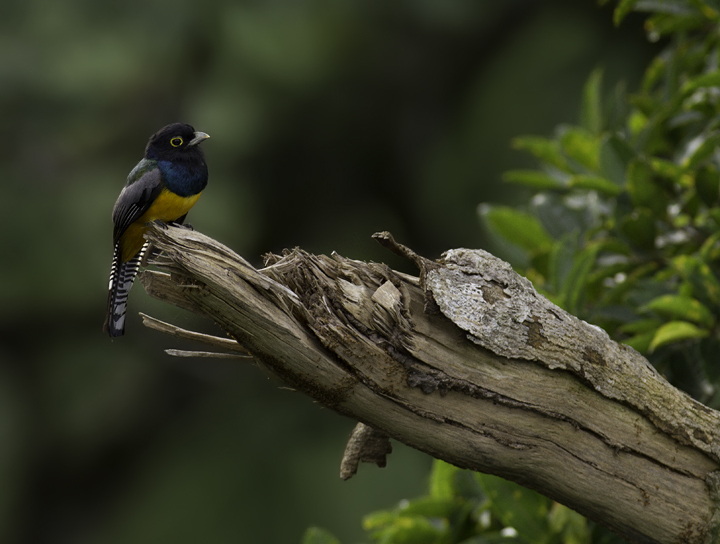 Below: A Gartered Trogon near Gamboa, Panama (7/17/2010). 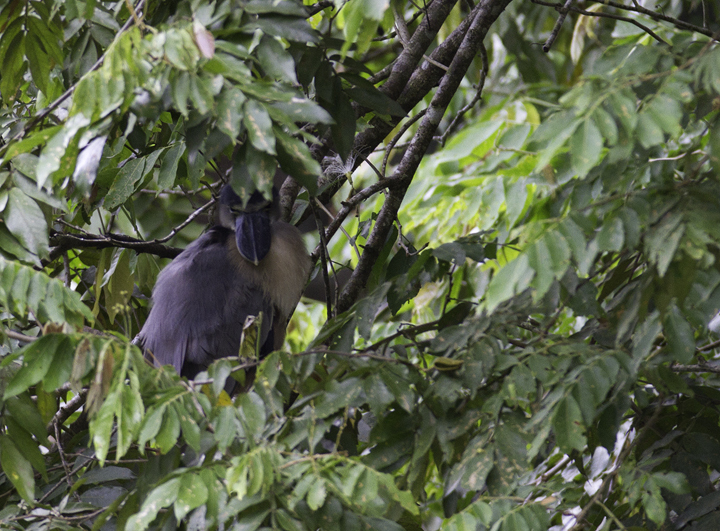 Below: A roosting Boat-billed Heron near Gamboa, Panama (7/16/2010). 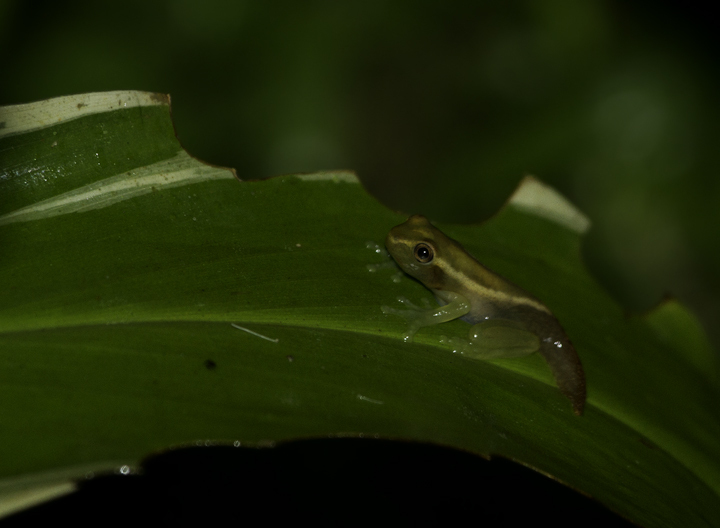 Below: An Hourglass Treefrog (Hyla ebraccata) near El Valle, Panama (7/13/2010). 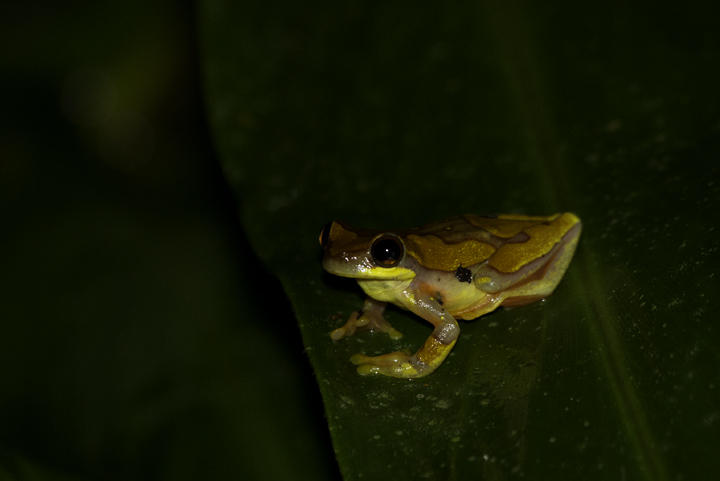 Nighttime amphibian chorus near El Valle, Panama (7/12/2010). 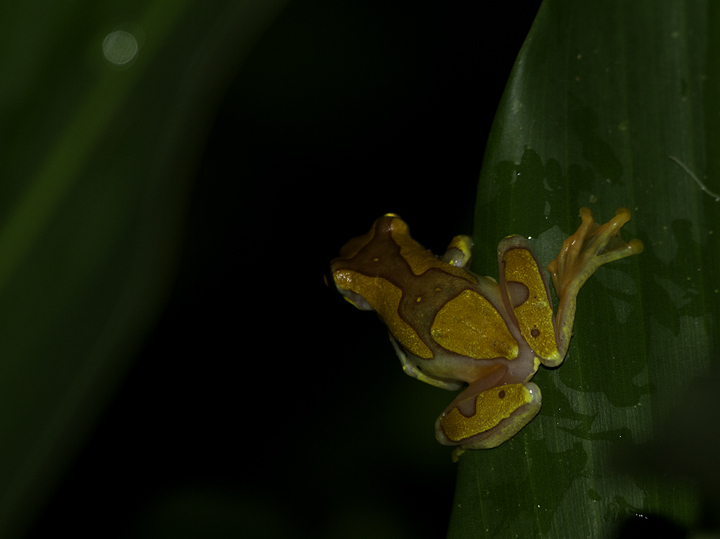 Below: The day shift caught sleeping. 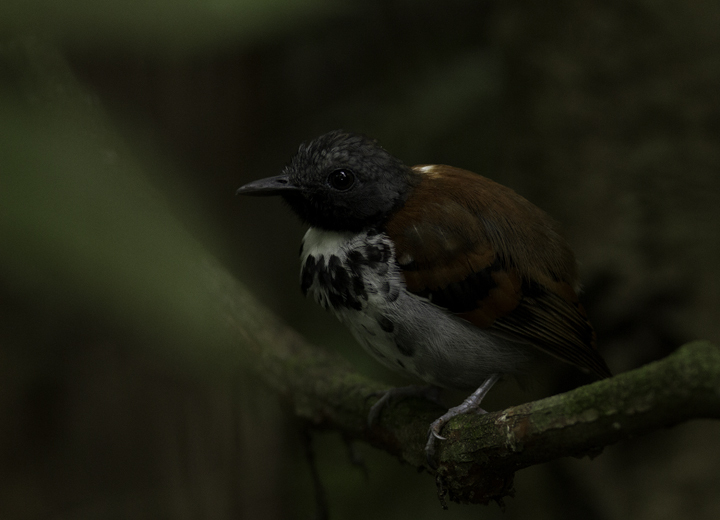 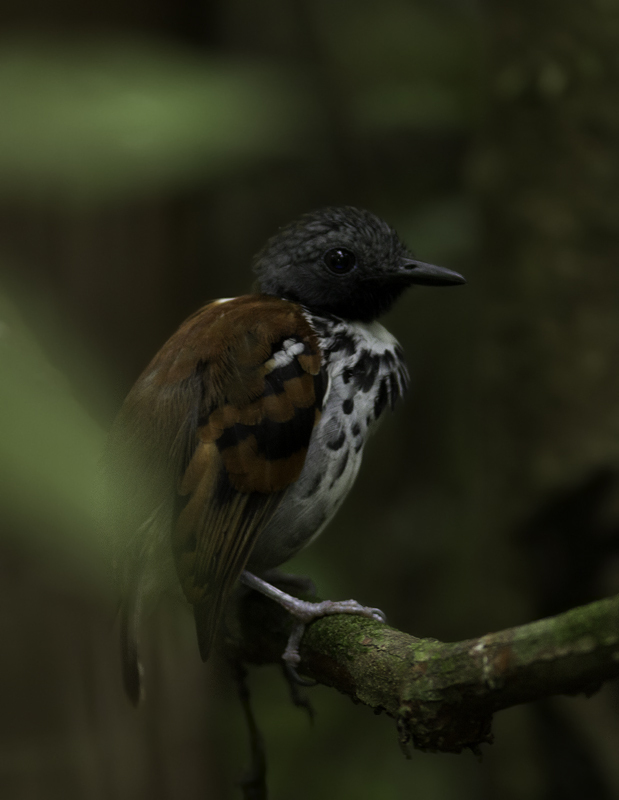 Below: One of two Spotted Antbirds working an ant swarm along Pipeline Road near Gamboa, Panama (7/15/2010). 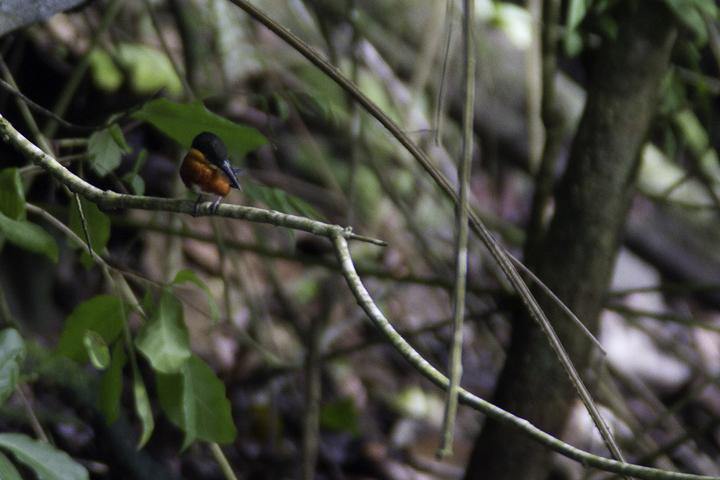 Below: An American Pygmy Kingfisher surveys lunch options near Gamboa, Panama (7/16/2010). 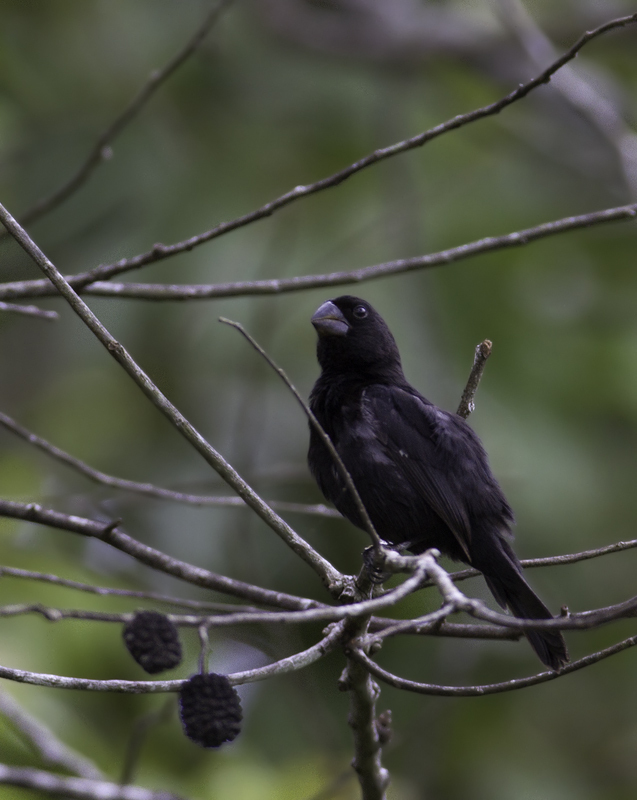 Below: A male Shiny Cowbird in Gamboa, Panama (7/14/2010). 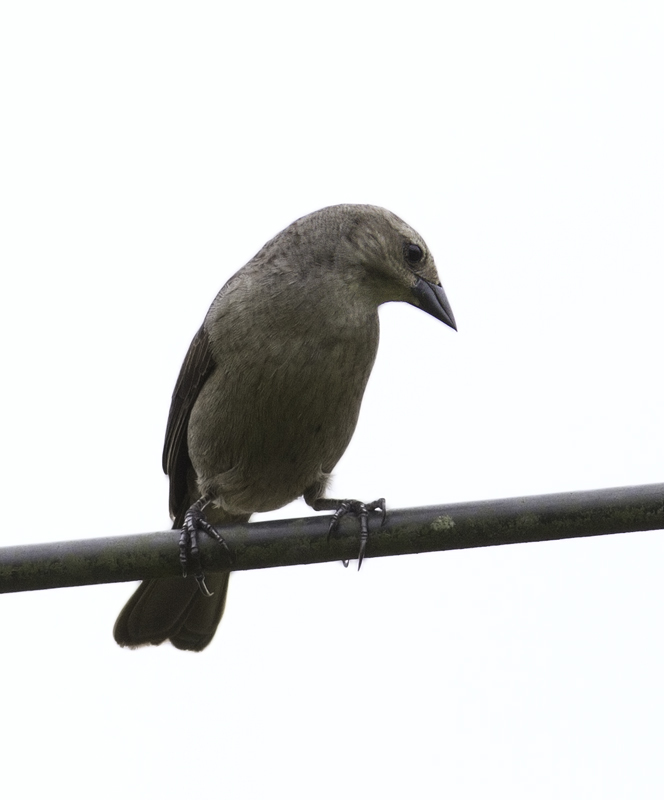 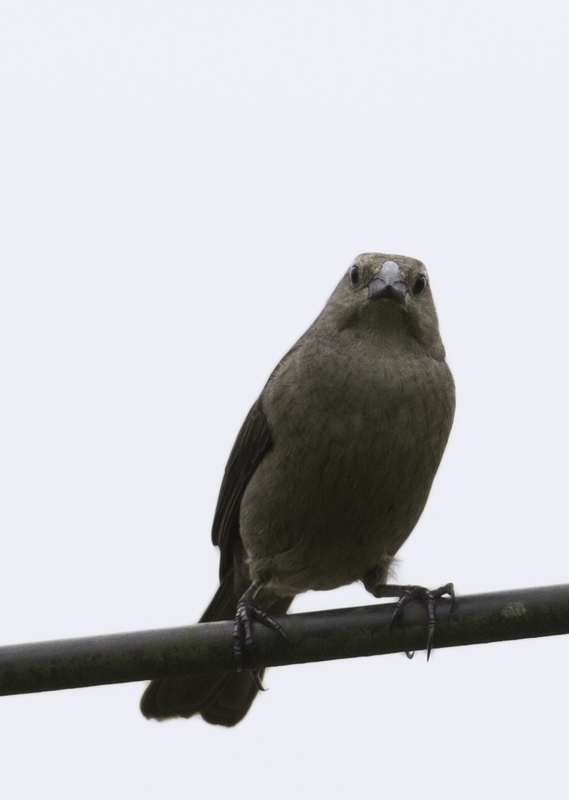 Below: A female Shiny Cowbird in Gamboa, Panama (7/14/2010). 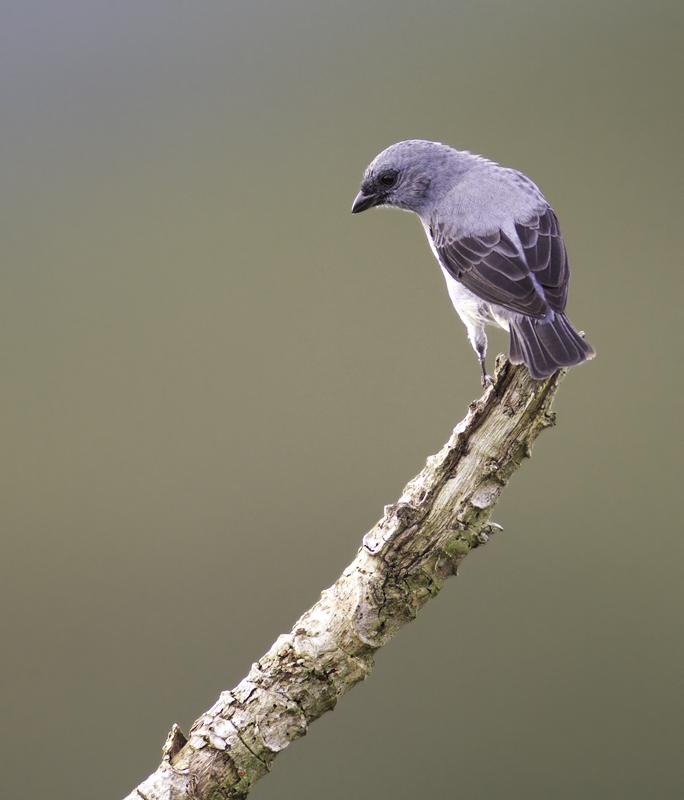 Below: A Plain-colored Tanager poses near the Canopy Tower, Panama (7/17/2010). 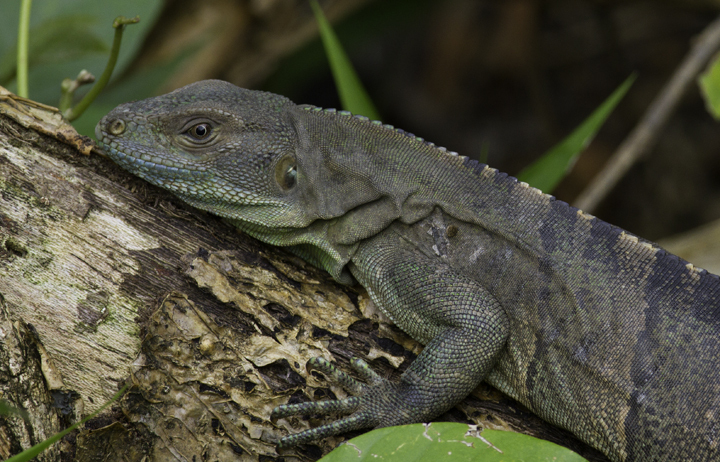 Below: A resting Ctenosaur, or Spiny-tailed Iguana (Ctenosaura similis), near El Valle, Panama (7/14/2010). 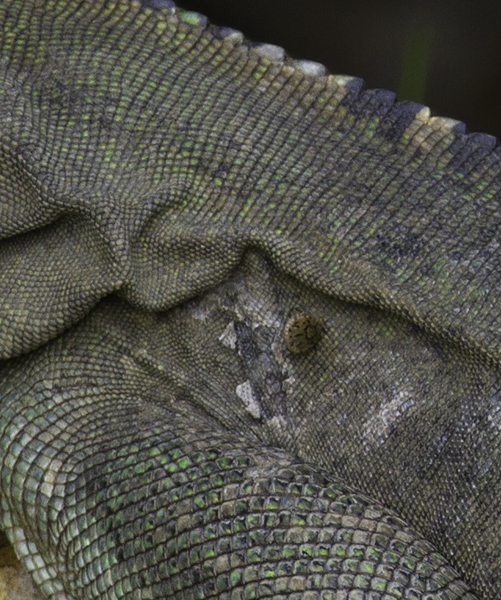 And the Ctenosaur itself is micro-habitat for this tick. 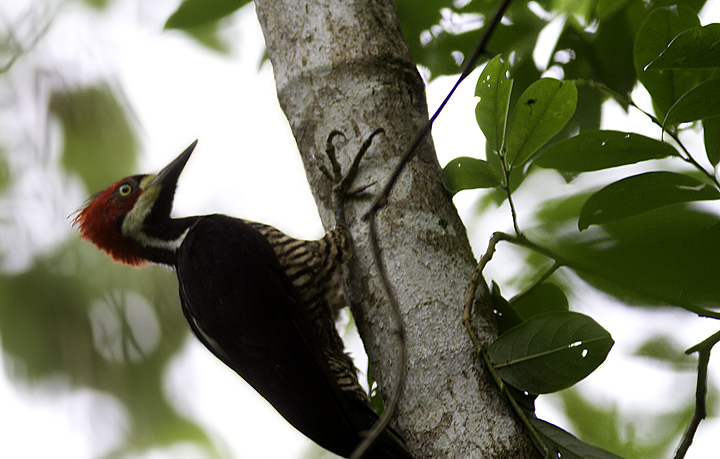 Below: A Crimson-crested Woodpecker, a member of genus Campephilus and relative of the Ivory-billed Woodpecker. 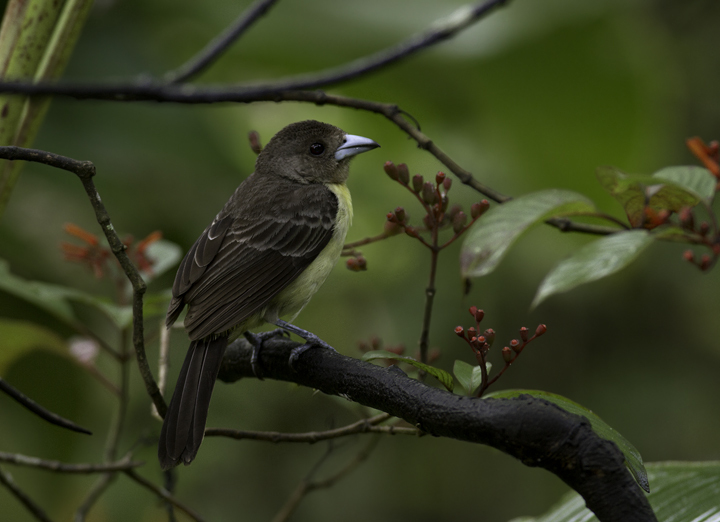 Below: A female Lemon-rumped Tanager near El Valle, Panama (7/13/2010). 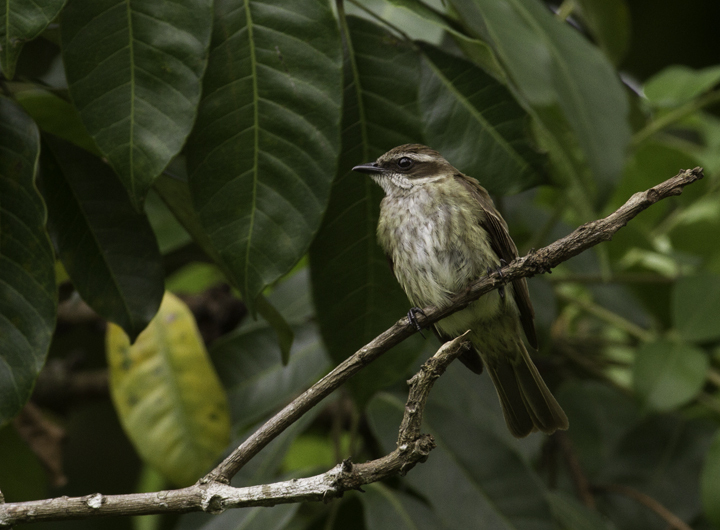 Below: A Piratic Flycatcher near Gamboa, Panama (7/14/2010). 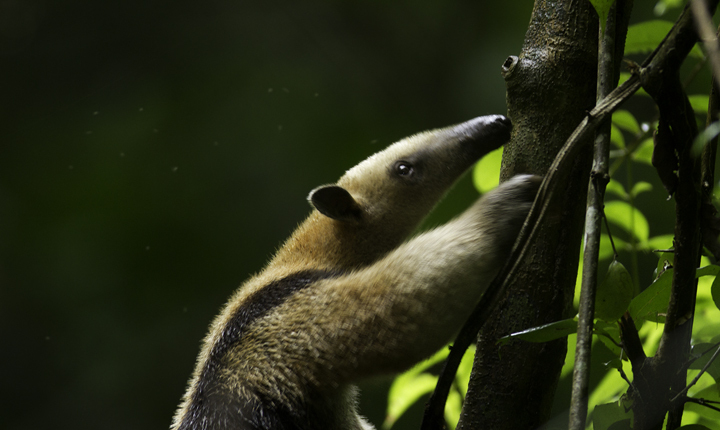 Below: One of my favorites - a Tamandua near Gamboa, Panama (7/14/2010). 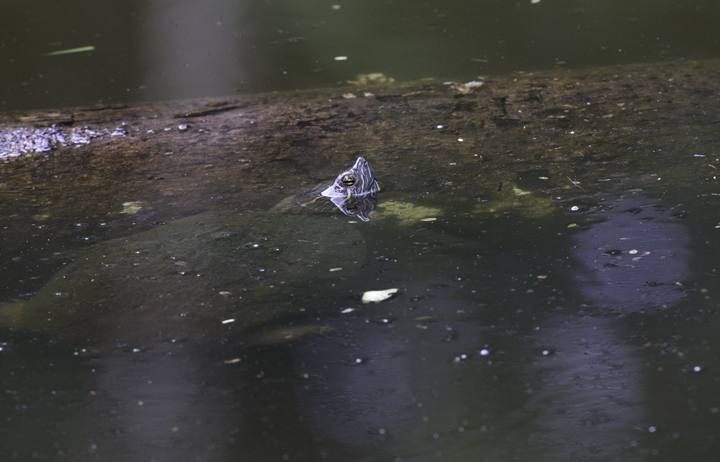 Below: A Tropical Slider (Trachemys ornata) near Gamboa, Panama (7/16/2010). 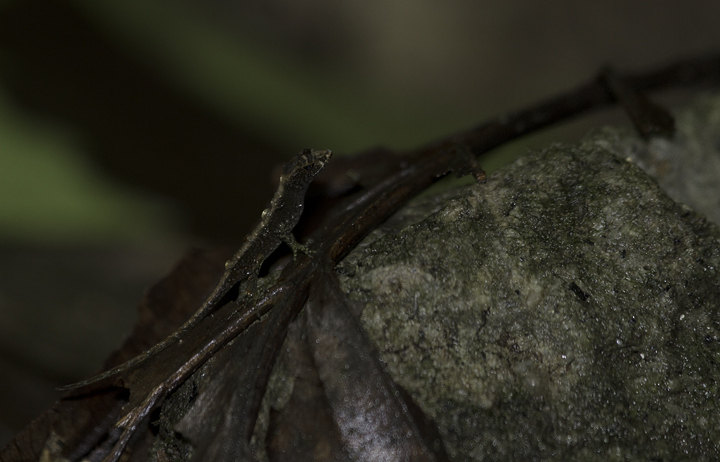 Below: An interesting lizard species in the rainforest leaf litter in Panama (7/13/2010). 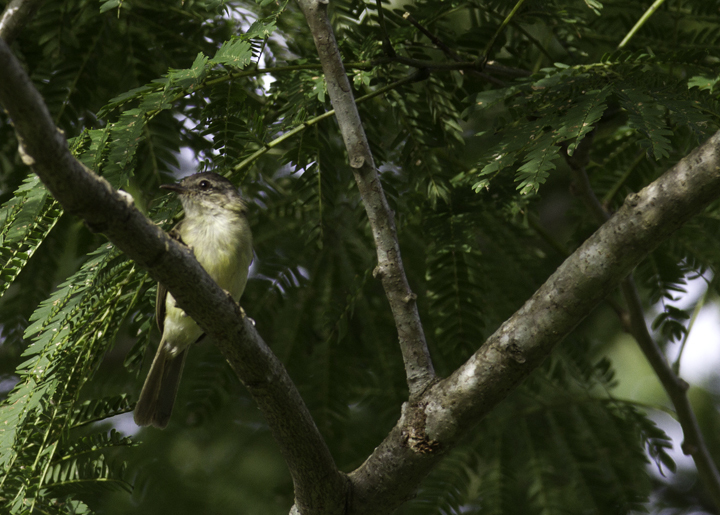 Below: A Greenish Elaenia near the Canopy Tower, Panama (7/16/2010). 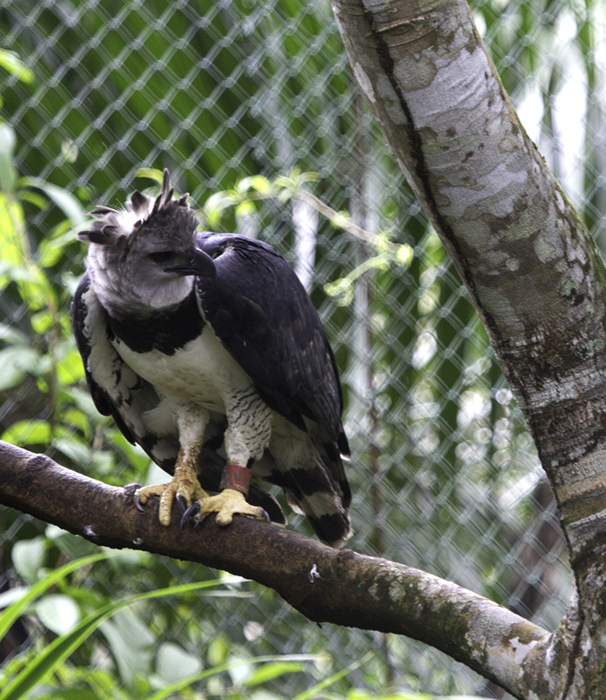 Below: One of the world's most impressive creatures, the Harpy Eagle - spectacular even in captivity. 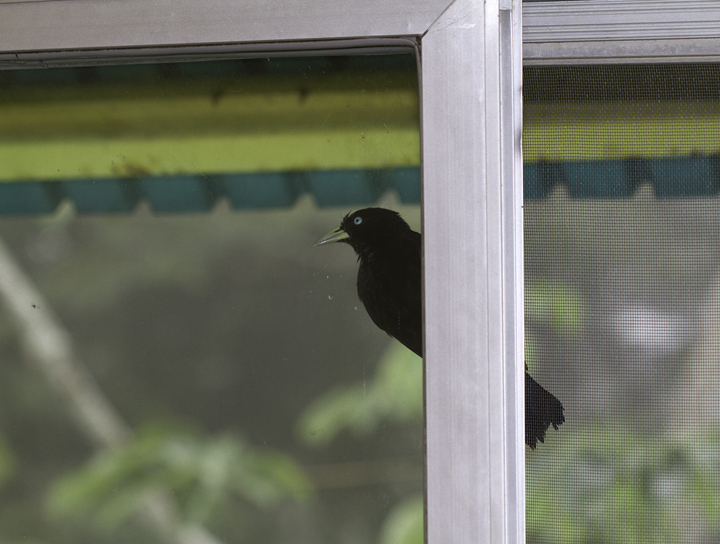 Birds at the Canopy Tower are so cooperative that this Scarlet-rumped Cacique is trying to break into our room for more photos. 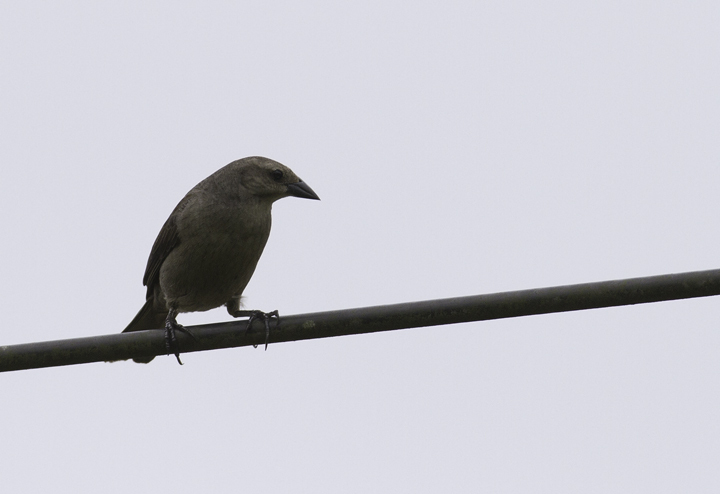 Below: A Thick-billed Seed-Finch near the Ammo Ponds in Gamboa, Panama (7/14/2010). 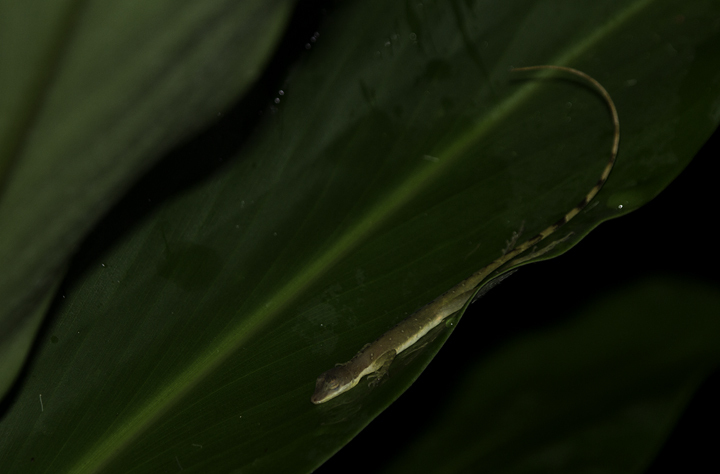 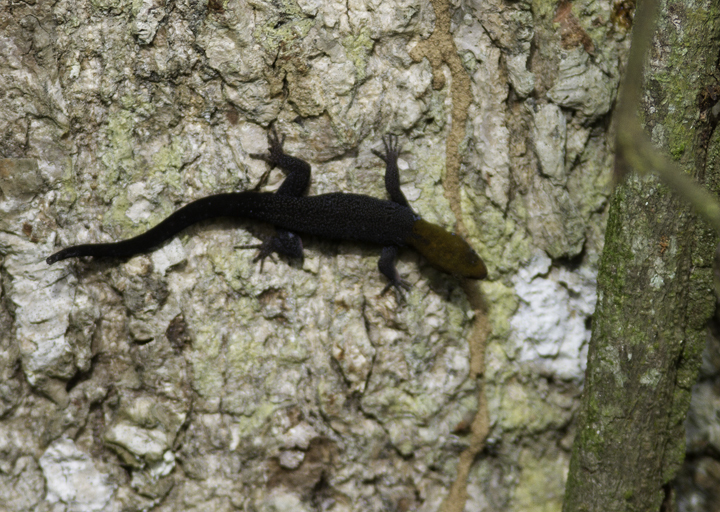 Below: A Yellow-headed Gecko near Gamboa, Panama (7/16/2010). 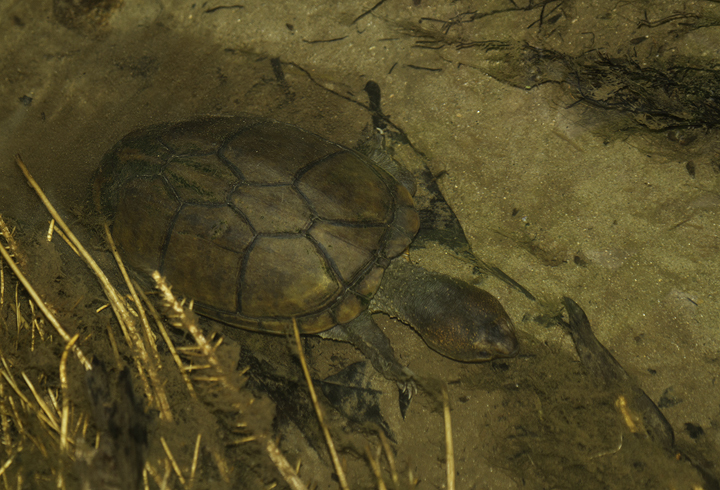 Below: A mud turtle, possibly Central American Mud Turtle (Kinosternon angustipons) near El Valle, Panama (7/13/2010). 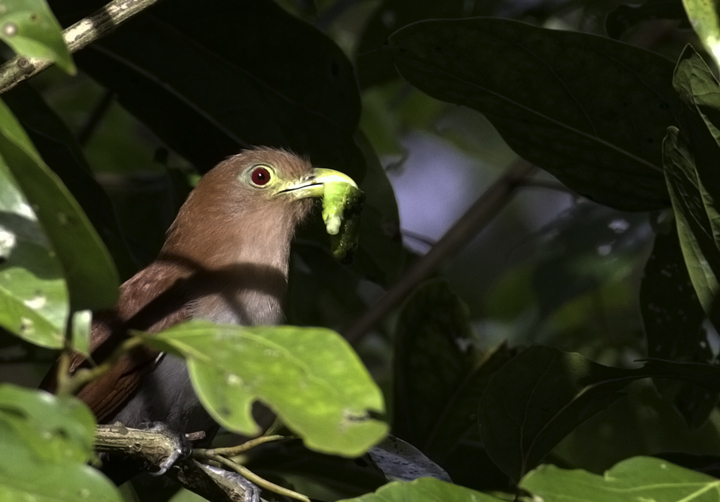 Below: A Squirrel Cuckoo with prey near Gamboa, Panama (7/16/2010). 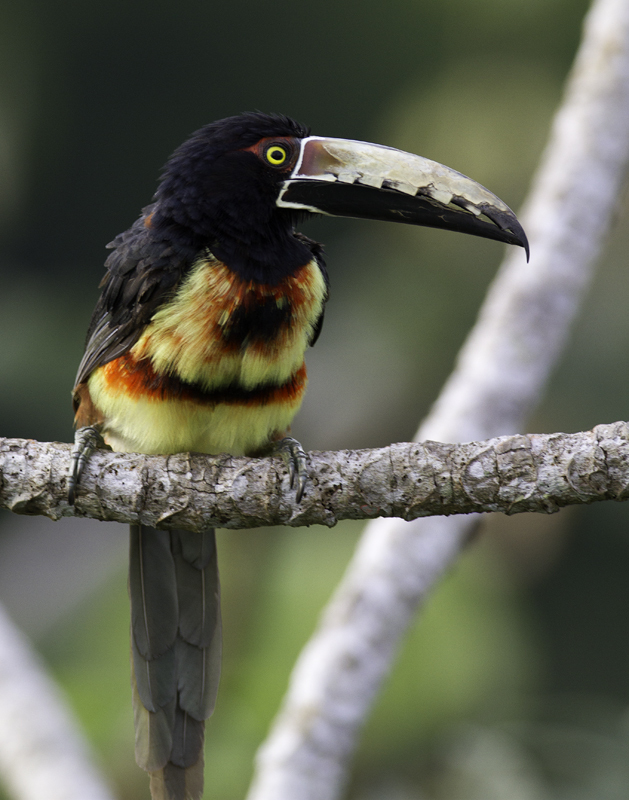 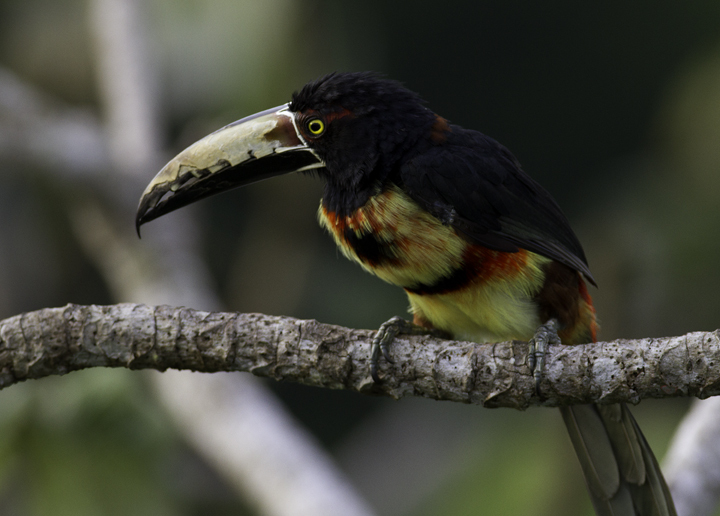 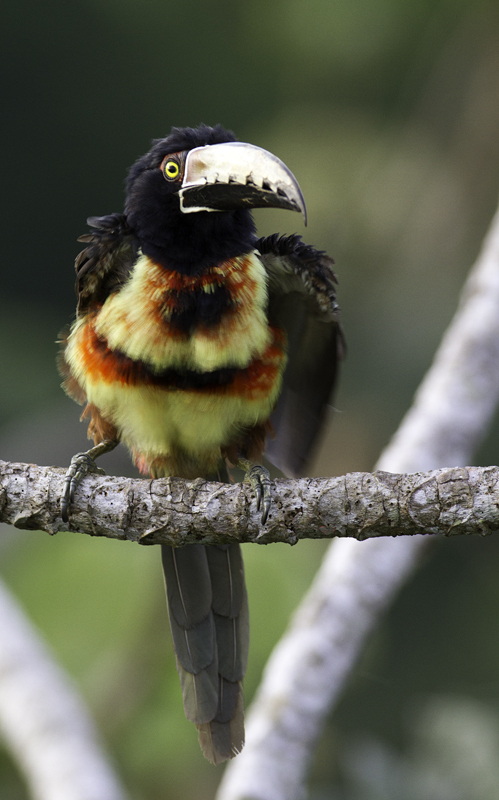 Below: A Collared Aracari poses in the morning light near Gamboa, Panama (7/17/2010). 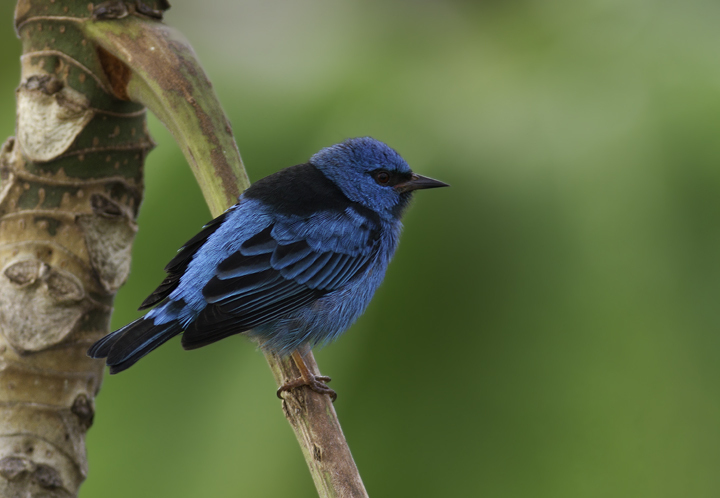 Below: A Blue Dacnis near Gamboa, Panama (7/17/2010). 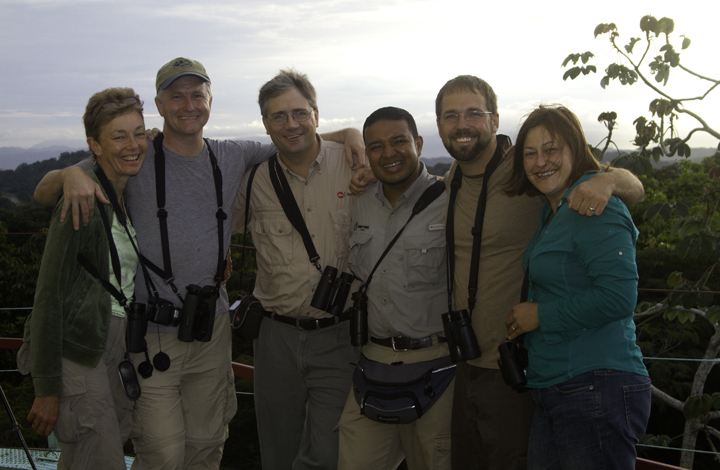 Geraldine King, Tom Feild, Jeff Bouton, Carlos Bethancourt, Bill Hubick, Becky Hubick.